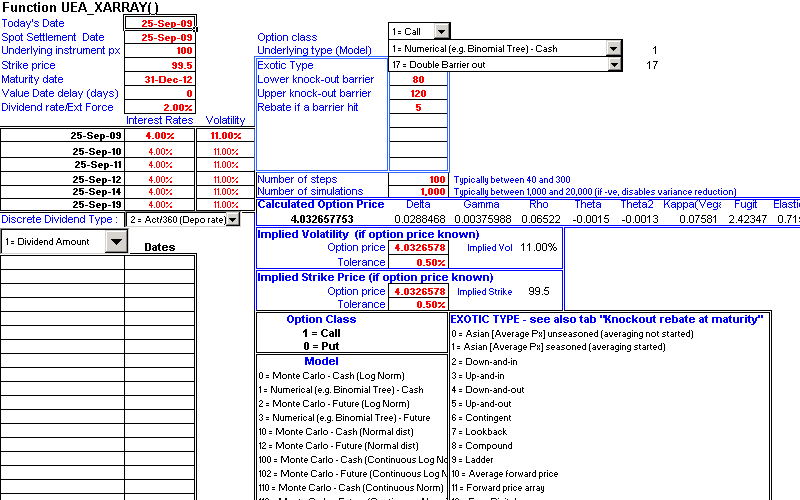 The exotics add-in calculates prices, sensitivities and implied volatilities of Exotic options, including Average price (Asian), Barrier and double Barrier (Knock-out and Knock-ins), Quanto Basket Asian options, Digital, Compound, Contingent, Ladder, Lookback and one and two Touch options on bonds, commodities, currencies, futures and shares (including constant dividend streams and discrete dividend payments). Windows Barriers also supported (windows can be up front, in middle or at end). 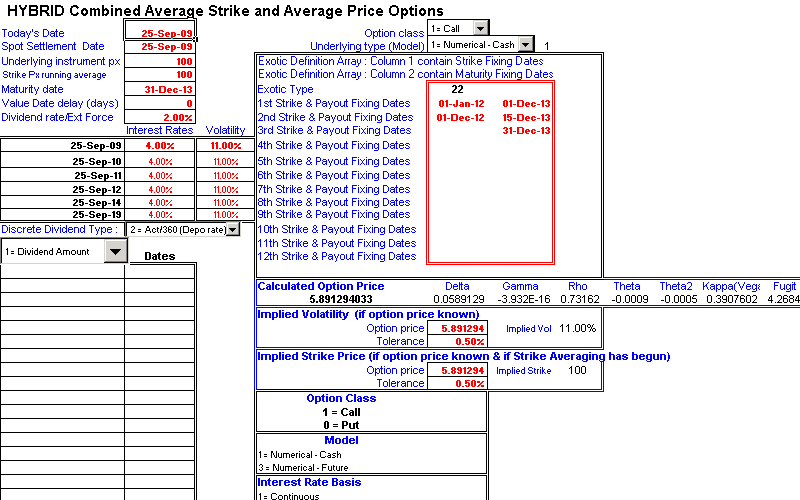 For maximum flexibility and sensitivity testing, it allows the user to choose to either a numerical (e.g. 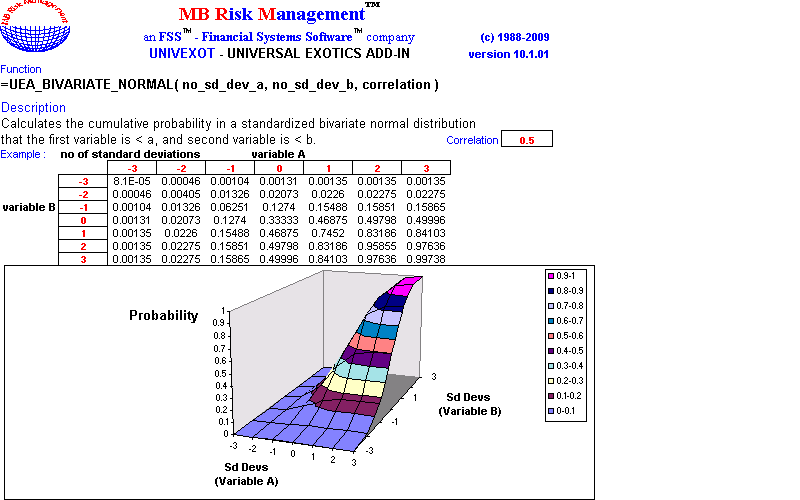 binomial tree) algorithm or a flexible Monte Carlo simulation algorithm. 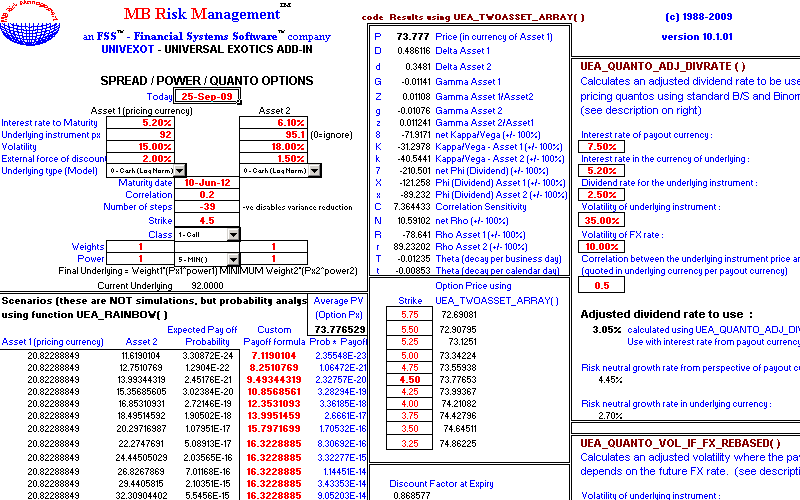 Smoother handling of barriers are implemented to improve accuracy of numerical models. 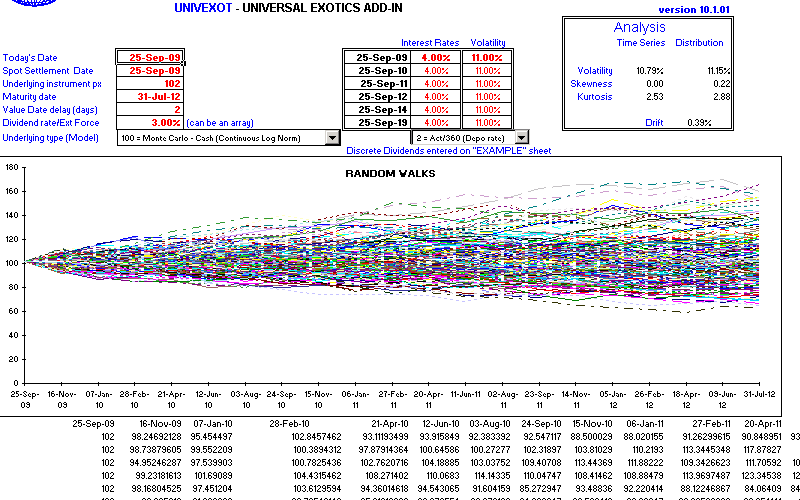 With a single function call, UNIVEXOT calculates the full sensitivities of Spread and Power options. 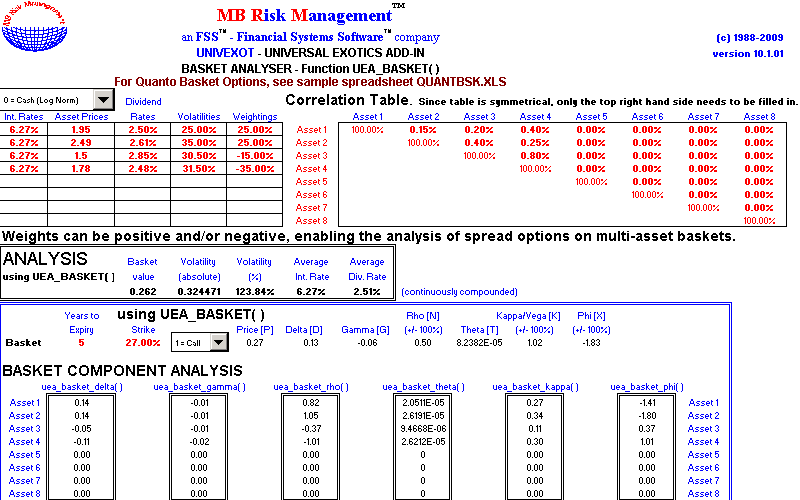 UNIVEXOT also analyses two asset Rainbow options where any user specified pay off formula can be entered. When UNIVEXOT is combined with UNIVOPT, you have a formidable combination for most standard and exotic options in an easy to use package. 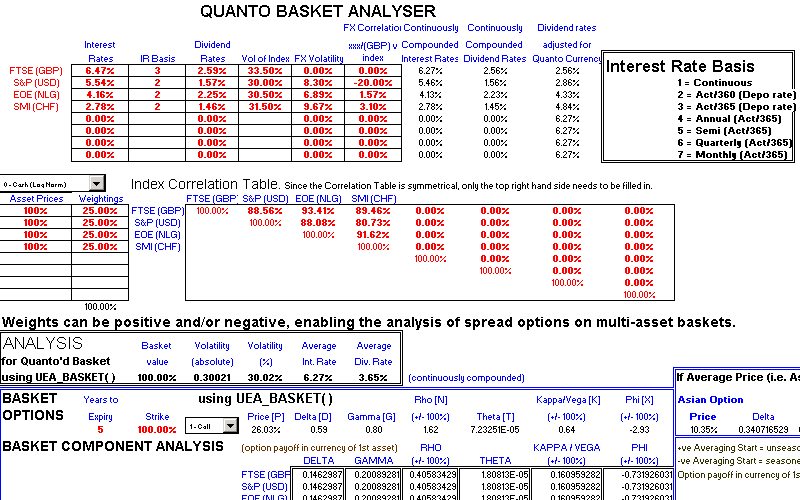 A number of example spreadsheets are supplied free with UNIVOPT, which enable the user to price and risk manage option portfolios "straight out of the box" without any programming or "spreadsheet" work.